Various research shows that only approx. 25% of corporate data is structured. The other 75% of the corporate data is unstructured. It can contain sensitive information that has to be protected, contracts that have to be retained and documents that have to be utilized. DiscoveryOne reads, analyzes, tags and categorizes unstructured data and therefore gives insights and visibility over your data. One of the typical attributes of legacy documents is uncertainty. As it is exceptionally costly to review the documents, companies enable automatic tagging solutions to identify the documents that should be deleted or should be archived. It makes document migration notably faster and cleaner. DiscoveryOne easily analyzes documents in different languages and categorizes them according to the evolving requirements of agile businesses. Typically user tags are not sufficient to enable effective retention policies as they heavily rely on metadata. Information managers enable automatic classification as a secondary layer of protection. Pingar reads, tags and categorizes documents to satisfy retention policies. It enables organizations to clean-up their file shares and archive the documents.  The Content Inventory solution enables an enterprise to rapidly analyze their content and identify information that has to be deleted, archived or reviewed. It uses advanced machine learning capabilities that can be easily trained by an information manager. Critical information is easily lost or leaked due to insufficient document tagging. DiscoveryOne recognizes documents that contain sensitive data, such as personal identifiable information, confidential records, financial details, etc. Therefore, DiscoveryOne enables automatic classification of your documents. Information managers can instantly apply security policies and procedures to ensure information security. Pingar’s artificial intelligence capabilities utilize two machine learning algorithms to ensure high tagging precision and information recall. It analyzes training data and identifies information patterns that are later used to group your content. The solution requires only approx. 7 minutes to learn a given category and there is no limit to how many categories you can have. This allows global enterprises to cover their full content holdings. We help the complex become simple. At the heart of Pingar is extraordinarily powerful software that provides text analytics of unstructured data. Our customers have masses of data, and want to be able to find what is relevant now, using something elegant and simple. We sift and structure their data, and then visually display what they are looking for, enabling rapid drill downs to help make important decisions.